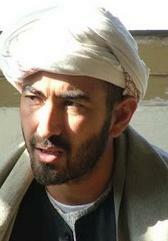 Rahmatullah Khan died while trying to reach a police outpost by a Taliban roadside bomb attack. (20121103) others say a number of Taliban riding motorbikes opened fire and killed him. Haji Ahmadullah Hamdullah Nazak Nazik Nazuk (see picture) , born 1982, (201002119) He survived the attempt by a suicide bomber to kill him in recent months, among eight assassination attempts in all (20100802). He came under a suicide attack (the 9th) in southern Kandahar province on 20101218. Nazuk escaped unhurt from a road side bomb attack in Kandahar on Friday, Feb. 19, 2011.